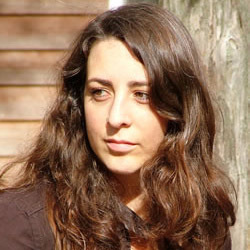 Monica Byrne is a playwright, novelist, and traveler based in Durham, North Carolina. She holds degrees in biochemistry from Wellesley and MIT. Her debut novel The Girl in the Road was published by Penguin Random House in 2014. She wrote and performed science fiction stories at TEDxVancouver in both 2015 and 2016; and she's also published essays and short stories in The Atlantic, The Washington Post, Virginia Quarterly Review, WIRED, Electric Literature, The Baffler, Glimmer Train, The Rumpus, Shimmer, and Electric Velodpede. She's a playwright in residence at Little Green Pig Theatrical Concern, which has produced What Every Girl Should Know, which went on to productions at Impact! Theater in Berkeley and FringeNYC, where it received a "Time Out New York Critic's Pick and Best Ensemble" Award. She's received fellowships for writing from the Durham Arts Council, North Carolina Arts Council, Vermont Studio Center, Millay Colony for the Arts, Wellesley College, La Muse Inn and Artist Retreat, the Elsewhere Collaborative, and the Collider Project. Outside of writing, Monica is passionate about traveling. She has traveled to Morocco, Italy, Ethiopia, Trinidad, India, Fiji, Samoa, The Cook Islands, Belize, Costa Rica, England, Scotland, Iran, Canada, Hong Kong, the Dominican Republic, and the Philippines. To read more about Monica, visit her blog. Monica Byrne’s artfully crafted alphabet gives a whimsical nod to the illuminated manuscripts of ages past. 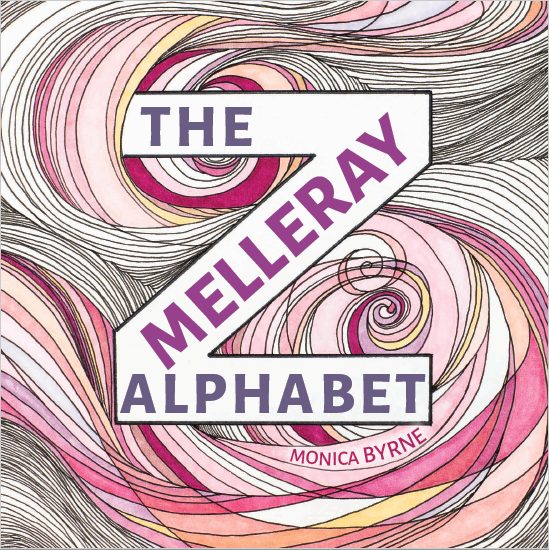 This gorgeous book will take children on an art-filled journey from A to Z. With surprising entries in three languages, children will learn to see their letters—and the world around them—in a brand new light.